Its slender figure lends Konica all its natural elegance. Konica has a sturdy and resistant stainless steel 18/10 structure. 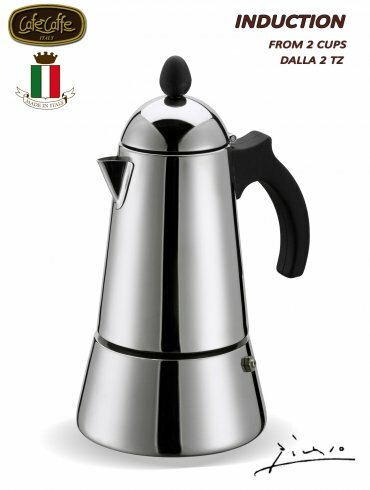 Cafè Caffe is a high quality brand that includes a complete range of Espresso coffee makers suitable for retailers and coffee shops. All the collection has the peculiarity of proposing the original "made in Italy" design and manufacture. All models are packed in a elegant box that remembers the preciosity of gold and the aroma of coffee blend. Click the button below to add the Konica Stainless Steel stove top 4 cup espresso maker made in Italy to your wish list.